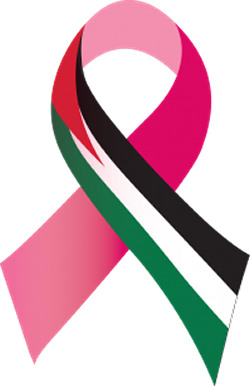 Breast cancer is the most common and widely spread type of cancer in Palestine, said the Palestinian Ministry of Health, in an official statement, Thursday. MoH said that a total of 503 new cases of breast cancer were documented until the end of 2017, in the West Bank, while 327 new other cases were recorded in the Gaza Strip in 2016. It said, according to WAFA, that since the beginning of the year, a total of 3,854 women underwent early examination of breast cancer in the centers of the Ministry of Health in the West Bank, of whom 210 cases of suspected breast cancer were ordered to conduct follow-up tests to ensure their safety. In 2017, MoH said it provided breast cancer screening services to 9,721 cases in the West Bank, of whom 2,772 cases were found to be abnormal and accounted for 28.5% of the examined cases.